Suki reviews "Raising Human Beings"
When it comes to volunteering, I favor making a difference in one person's life contrasted with donating money to an organization. Of course there's a need for both, nevertheless there's a deep satisfaction in seeing actual change, measureable growth on a one to one level and that is what today's special story is about. With Thanksgiving's arrival we are encouraged to remind ourselves of all the blessings in our lives and to find ways in which we can be generous. In gratitude for your fine parenting of our future citizens we share "Accidental Cauliflower Gratin." It's easy to make and tastes great! Please share our newsletter with new friends so they won't miss a few tidbits of wisdom from our author contributors, and as always our many fun events! You might even forward this newsletter to friends. We cannot fit them all the events into this newsletter. There are more on the online calendar. Put together one empathetic adult volunteer who gently questions & listens and one young student who has a jumble of ideas or perhaps thinks what he/she has to say is not interesting -and you have part one for growing a writer. We've all experienced meeting a person we like a lot. Chances are that person asked us a few questions about ourselves and we shared, perhaps even voiced or clarified for ourselves a thought we didn't realize was simmering within. We felt good about ourselves after that conversation. Something shifted. That's exactly what happens to children in the Young Writers Program. They open up, share, begin writing... and feel good about themselves! This one-to-one mentoring is the lynchpin of the successful Young Writers Program. Thirty hours of one-on-one mentoring can increase self-confidence and raise a child a child's grade by as much as one grade level, including skills in writing. Co-founded (along with Jory Post and Karen Ackland) and grown by Julia Chiapella, the Young Writers Program is locally acclaimed (Julia will receive a Gail Rich Award for 2017 as a visionary in creative arts in Santa Cruz County) for its success with young writers and has expanded steadily in its first four years. However, its ability to reach more children is slowed by a need for more volunteers and greater funding. Could you be that person who can make a difference in a young writer's life! Volunteers have been teachers, retired teachers, writers, journalists, university students and even a retired contractor. If this intrigues you and you are patient, generous, encouraging and love writing consider learning more about what it takes to be a volunteer. The Young Writers Program trains volunteers several times a year. To become a volunteer, fingerprinting and proof of a negative TB test are required. Professional training sessions help you understand how to support and encourage the writing process with 4th through 12th grade public school students. Julia kindly shared some sources that influence the Young Writers Program. "Our Traits of Good Writing training, held twice a year in October and January, is based on 6 +1 Traits." "Carl Anderson's How's It Going, A Practical Guide to Conferring with Young Writers is one of our staples. Check out this link to an excerpt from this book. Learn more details, register to volunteer and/or donate at YoungWriterssc.org. Dear Teachers and Parents and especially a teacher who told me he doesn't teach cursive writing because he believes it's not important and further, he "doesn't know how to write in cursive." You are the victim of an apparent wave of "forget teaching cursive," which I'm guessing came along with the rise of personal computers. Why? Studies have shown that writing in cursive has many benefits beyond the obvious delight in mastering the skill and ability to write more quickly. I even read about a famous back surgeon who includes daily journaling as part of his therapy for developing new paths free from pain. I have written several earlier posts on the value of teaching and learning cursive. A recent infographic provides a nice summary of the advantages of handwriting over the keyboard. Handwriting engages the brain more deeply in creative thinking. Provides children with a clearer understanding of how letters form words, sentences, and meanings. And now there is a slick new way of teaching cursive, invented by Linda Shrewsbury. She analyzed all the alphabet letters to see if there were common pen strokes that were common to many letters. She found that handwriting all the letters could be mastered by learning just four simple pen strokes. So she wrote a book, Cursive Logic, that explains how to learn cursive by first learning these four basic strokes. Instead of spending hours, days, and weeks learning how to copy each letter in an attractive and readable way, you practice the four strokes (which can be mastered in less than an hour). Then with these mastered, you quickly learn how to apply the strokes appropriately to the letters in four short lessons. There are times when I fervently wish that all human beings were raised to understand the value of empathy, cooperation, and collaboration. This is one of those times. 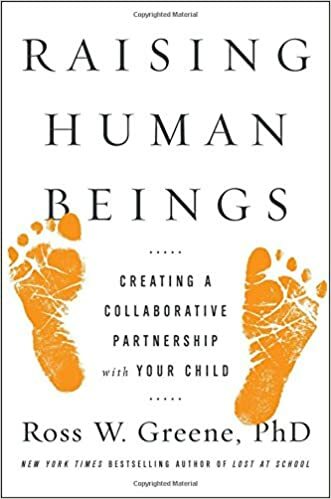 I've been meaning to write a review of Raising Human Beings: Creating a Collaborative Partnership with your Child by Dr. Ross Greene ever since it came out. Uncharacteristically, I bought this book in hardcover. Perhaps that's because when my younger child was 10, I believe that I joined with a zeitgeist of parents around the country who willed Raising Human Beings into reality. 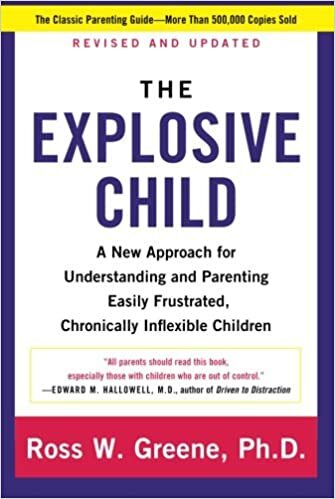 Collectively, we had read Greene's The Explosive Child because we had a child of that description, then realized that it was also the perfect manual for raising any human being, explosive or otherwise. Dr. Greene apparently heard our collective cry for a book aimed at all parents outlining his approach, which so improved the lives of families trying to raise difficult children. He heard us, and Raising Human Beings was born. but because they simply need something. Sometimes they have no idea what they need. Sometimes they think they need something completely different than what they really need. But they have a need nonetheless. Greene's approach is to teach parents to work with their little human beings starting not from an assumption of misbehavior, but from a place of empathy and compassion. Our little human beings are works in progress. They need our guidance to learn how to work within this complicated, confusing world. As parents, it's our job to raise our children, not to beat them down or lord over them. All of us want to raise the best human beings we can, but many of us fall back on the flawed reasoning that informed previous generations of parents. Dr. Greene calls this Plan A, and he understands why you use it. It's quick, dirty, and seems (sometimes) effective. It feels good to say "because I said so." Getting angry can be cathartic. But Plan A isn't what our kids need in this world. We live in a Plan C world. In this world, you'll do best if you know how to figure out what other people need, understand your own needs, and learn to collaborate so everyone gets their needs met as well as possible. Plan C is complicated, slow, and frustrating. I would venture to predict that most parents actually give up on it somewhere before actual full realization of the approach (I certainly did). But I feel very confident that all families will benefit from however much of this approach you can implement in your particular family situation. I can't recommend this book highly enough. If you have a particularly tough nut to crack, get The Explosive Child instead or in addition. It will improve your lives, and you will send out into the world healthy human beings who understand the value of empathy, cooperation, and collaboration. And we could all use a few more of those around. I taste tested this. It's delicious, especially with cranberry covered goat cheese, which was the only goat cheese available when I went shopping. Of course one could buy plain goat cheese and add the cranberries (soft dried). Preheat the oven to 450 degrees. Oil a two-quart gratin dish with olive oil. Steam the cauliflower, drain on paper towels, then transfer to the gratin dish. Season the cauliflower generously with salt and pepper, then toss with 2 tablespoons of the olive oil and half of the thyme. Spread in an even layer. Place the garlic in a mortar and pestle with a quarter-teaspoon salt, and mash to a paste. Combine with the goat cheese and milk in a food processor fitted with the steel blade, and blend until smooth. Add the remaining thyme and freshly ground pepper to taste, and pulse together. Spread this mixture over the cauliflower in an even layer. Just before baking, sprinkle on the breadcrumbs and drizzle on the remaining tablespoon of olive oil. Bake 15 to 20 minutes, until the top is lightly browned and the dish is sizzling. Serve at once. We fell hard for these handmade stamps by Dream Ecology. Available at all five ParkStores and online. Details: Now's your chance to sail on the tall ship Lady Washington! click to view website About Writing!